April 2018: Please note that there is a new, edited, edition. We’re proud to announce our latest publication, which is freely available for download on our website. 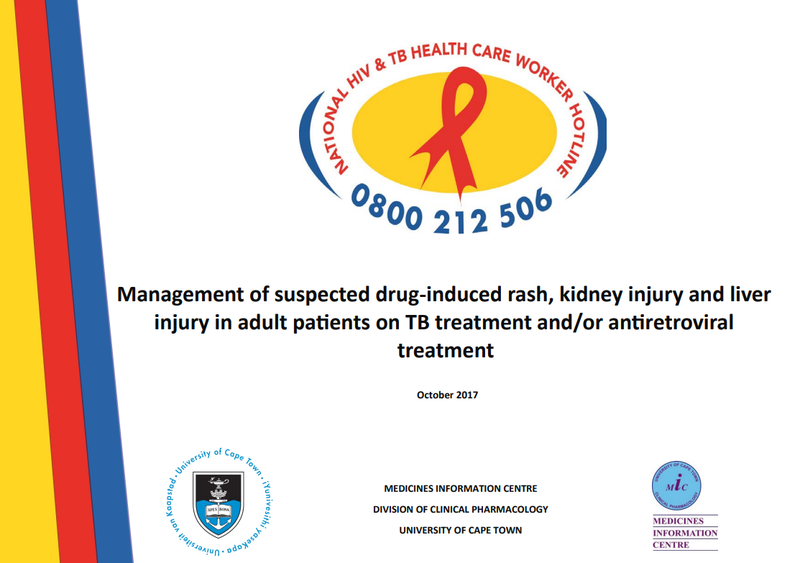 The booklet has useful, simple algorithms on how to treat patients on ARVs and/or TB treatment, who develop adverse drug reactions – rash, kidney injury and liver injury. The information shared on these pages is intended for use by health professionals. It has been compiled from information available to the National HIV & TB Health Care Worker Hotline based at the Medicines Information Centre, and although the greatest care has been taken, the Medicines Information Centre does not accept responsibility for errors or omissions.